Handed over the girls' pressies tonight, including this cushion that got finished just before they arrived!! The velvet called for a heavy backing, so I used this flowery upholstery fabric which, I hope, will match their mink coloured curtains. If it does, I'll make one using just that, as that was the end of the velvet. I'm posting this over at Handmade Harbour http://handmadeharbour.blogspot.co.uk/2013/01/handmade-monday-100.html, so hope to catch up with most of you over there. Tomorrow will see me starting to tackle clearing and decorating my craft room. I'll post pics of the finished article, but too ashamed to show you any 'before' photos!! Good luck on the craft room decorating, it's often a monumental task for most crafters. 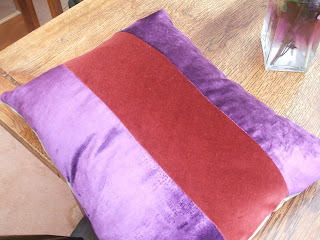 Lovely cushions - velvet always looks (and feels) cuddly and luxurious. Hope you have a good week. 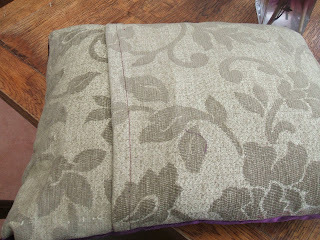 Beautiful cushion- the backing is lovely too. And the velvet looks gorgeously strokable! I agree that it looks very strokeable indeed. Good luck with your organising - you will feel so great when it is done! 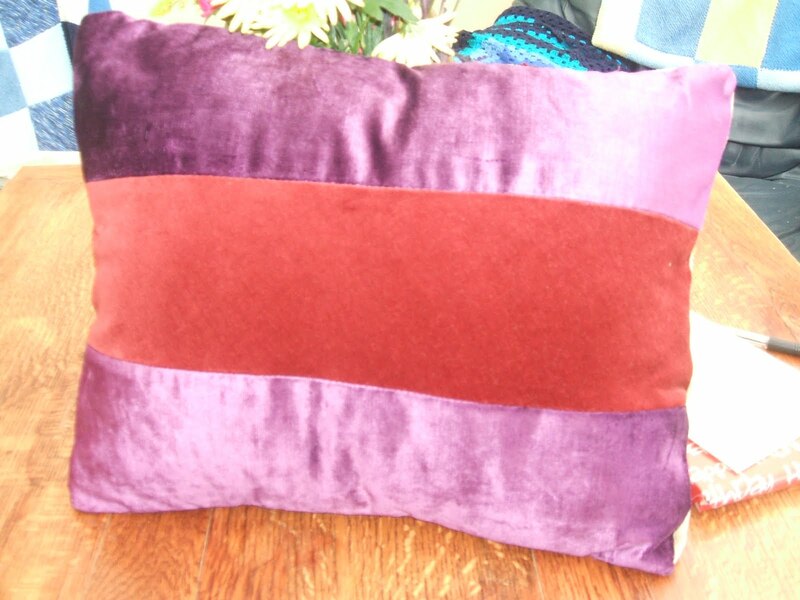 Lovely cushion. Yep, I understand how embarrassing "before" pics can be when you're talking tidying craft rooms - I have a studio and sewing room which both need a good sort and tidy... I may be some time! Love the fabrics in your cushion, the back is just as nice as the front! 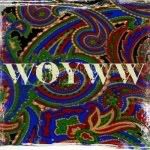 Gorgeous fabrics. Good luck with the tidying. I always despair when I get half way through. Lovely cushion. The colours work so well.